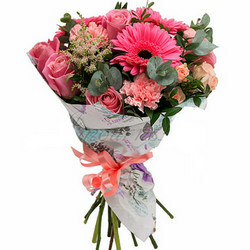 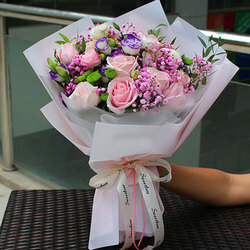 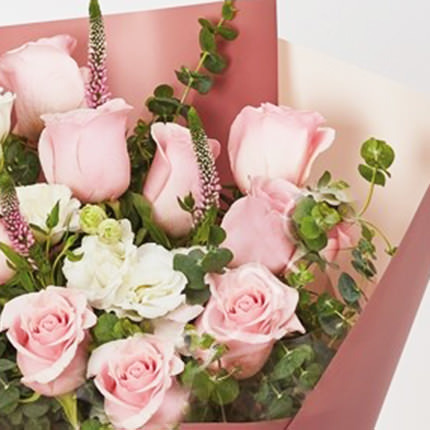 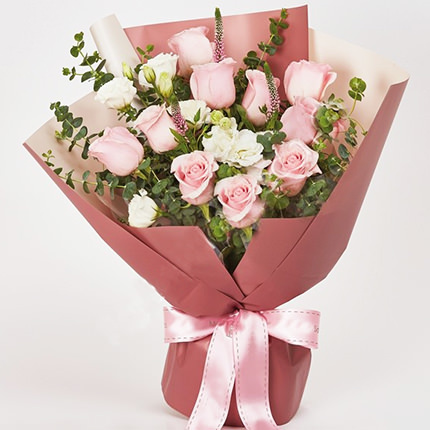 Gentle bouquet presented to Mom on such a holiday will give incredible emotions and will give your love and boundless gratitude! 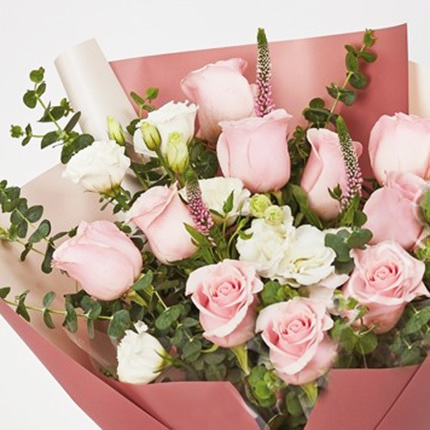 Composition: 11 pink roses, 4 branches of white eustomas, greenery, decoration. 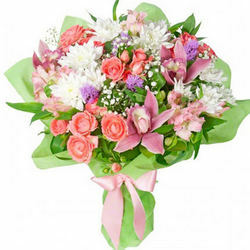 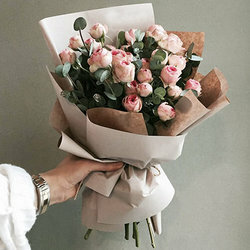 20032019 © Flowers.ua Bouquet "Mama's tenderness!"